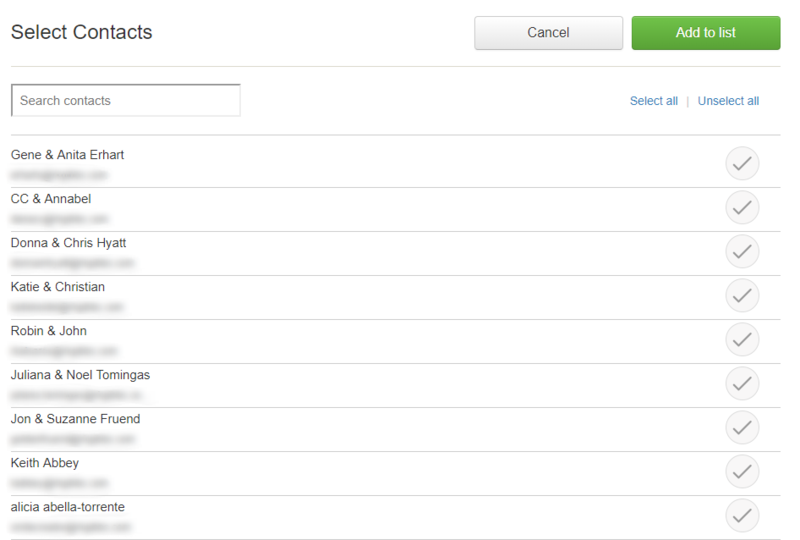 Choose Import Contacts on your Add Guests page and select Gmail. If you are not signed in, you will be asked to sign in to your Google Account. Once signed in, Google will ask that you give Punchbowl permission to access your Google contacts. Select "Allow access". 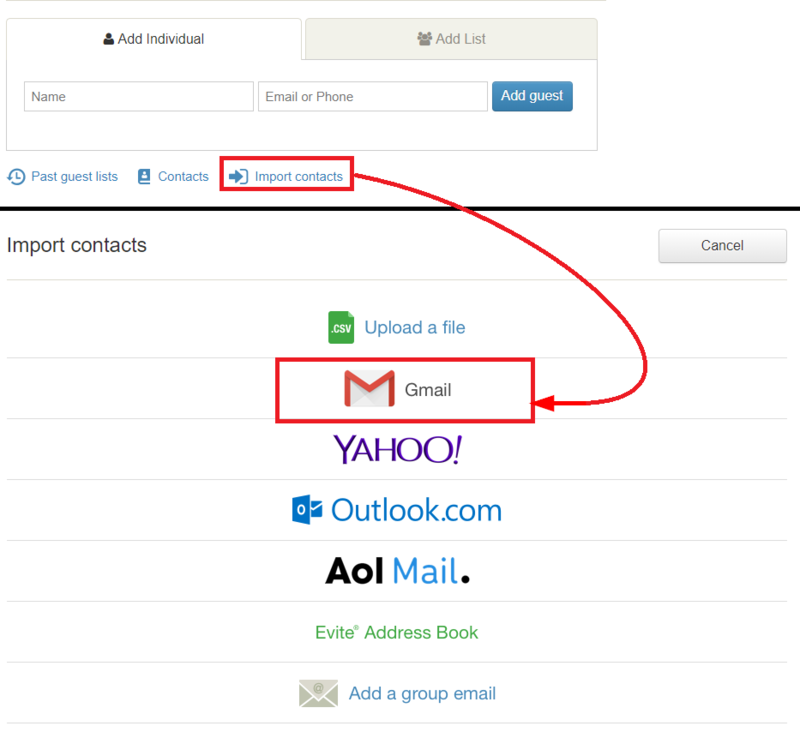 After allowing access we'll import all contacts from your Gmail Address Book. After we have completed the import you can choose which contacts to add. Choose the contacts and click Add to list to complete the process.